For most schools, parents and student self-register. Registration is easy and only takes about 1 minute. The student's ID number is required for both student and parent registration. Go to your school's homepage. If you do not know your school's homepage, use this page to find your school. 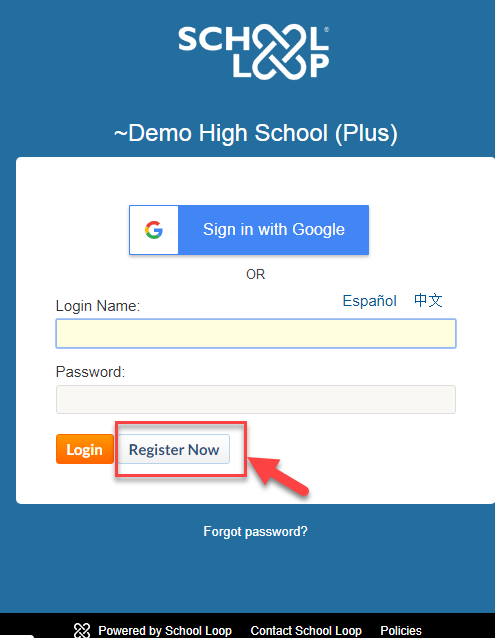 If your school has a published website, click the login button at the very bottom right of the homepage. 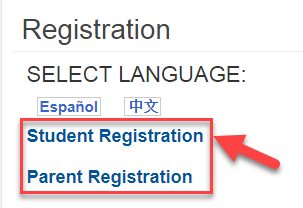 Choose to register as a student or parent; you may also select Spanish or Chinese as your preferred language. Click the Register Now button. You will need your student's ID number in order to complete this form. Parents may add multiple students from the same school to a single account. Multiple accounts are needed only if your students attend different schools.